When you squeeze a coil spring, it compresses into a smaller version of itself – and after letting it go, it bounces back in full force. Just like the coil spring, hip-hop has been squeezed out of the music scene a little as of late. It has taken a backseat while EDM takes over the airwaves. It used to be very common to see kids walking around the streets with baggy jeans, oversized Ts, an upside-down bandana, and a 59Fifty flat beak cap. That kind of cool has now increasingly become a rarer sight, giving you the impression that hip-hop is a slowly vanishing culture. Or so you would have thought. Fast forward to 2016 and Bangkok, the city which should be known for its boiling pot of culture, is at it again – slowly releasing the suppressed hip-hop spring energy in one big BANG. With pictures surfacing online of what you may have thought were scenes from the movie 8 Mile are actually photos of a real life rap battle notoriously called “The War Is On Season 2” that happened in our backyards on March 26th, 2016 at the rooftop of Fortune Town Ratchada. The crew behind this “underground” event? Rap Is Now. The reason “underground” had to be in quotations is because this event which attracted over 4,000 people strong might be too big to be “underground” anymore. When the first season of “The War Is On” reached its finale, the event was held at Wine Bibber (no relation to Justin Bieber), and about 500 people packed into the small venue in the middle of Ekamai to see MC King take the trophy home. 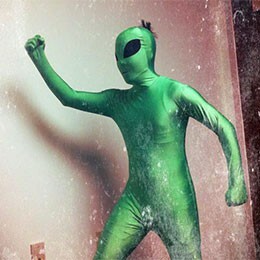 That image will now only rest in your memories. In contrast, the finale of “The War Is On Season 2” opened up like a large scale concert. 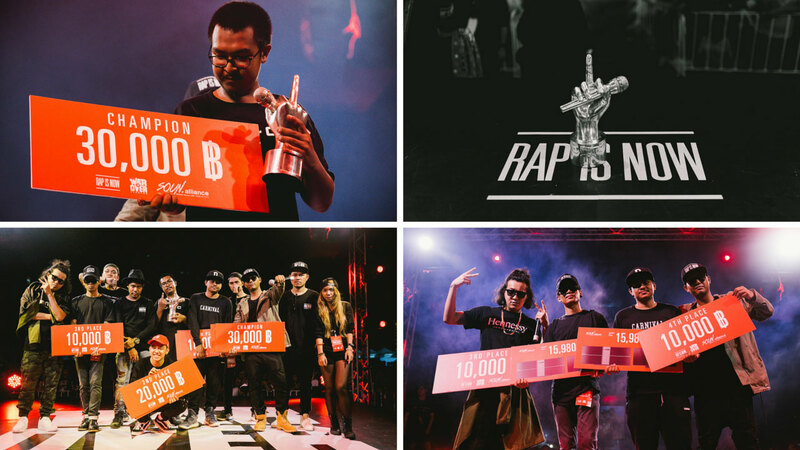 Competitors were hoisted up on to a large stage in which big name mainstream rap artists like Khan Thaitanium and 2P Southside made surprise guest appearances, along with many other underground artists, to stamp their seal of approval on the event hosted by the Rap Is Now crew. 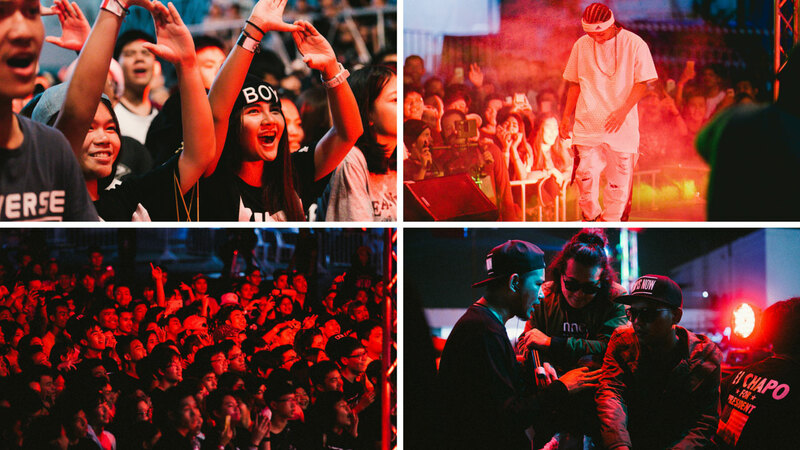 What the 7 crew members/friends have been trying to do in the hip-hop scene speaks volumes about the status of the rap game in Thailand. Rap Is Now’s Facebook page which was started in 2009 currently has over 700k followers, their Youtube page which was started in 2012 has almost 600k subscribers and about 113 million views. Statistically speaking, this makes them one of the top 50 most subscribed channels in Thailand. Frankly, these are not the number stats for a genre in decline. And if you were at the rooftop of Fortune Town for the finale, you will know that there is still even more room to continue growing. 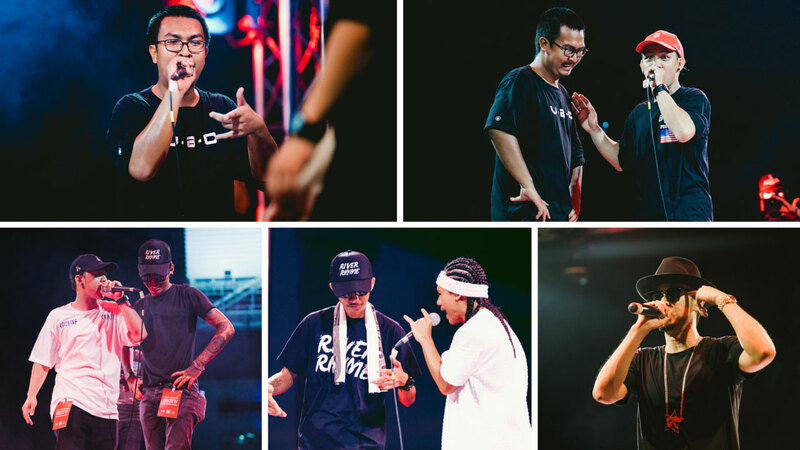 At the championship round, the 4 MCs that were to battle it out for the top prize included REPAZE, NIL LHOHITZ, MAIYARAP, and DARKFACE. All four lyricists wiped out over 200 other competitors along the way beginning from the online auditions and then onwards to the live round of 32, 16, and 8 – which is the culmination of all the rappers’ talents. 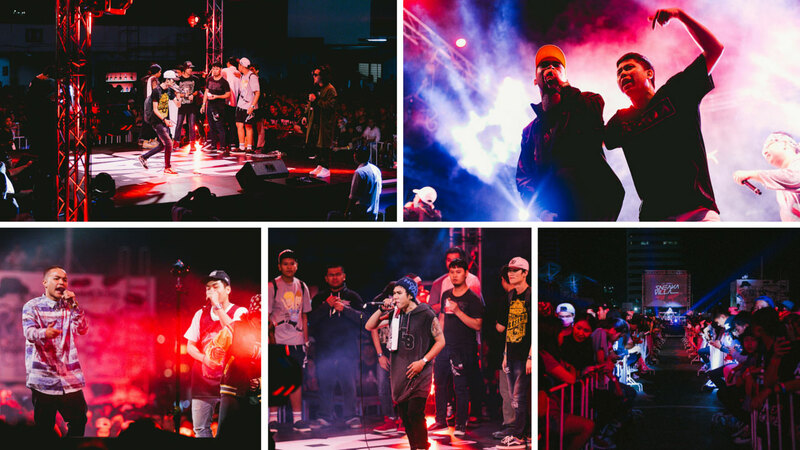 Whether hosting the final four event at a rooftop location was a pun for “starting from the bottom and now we here” or not, it was a suitable ultimate battle ground that honored the competitors in a tasteful manner for their hard fought battles. At the end, Season 2 saw REPAZE take home the middle finger trophy and prizes worth in excess of THB 50k with a straight up lit round versus NIL LHOHITZ in the final. MAIYARAP and DARKFACE came in third and fourth respectively. Now for all you hip-hop heads that were not at the event that day, we have some good news. Rap Is Now continues to document each battle round and publishes them online on their Youtube channel. To witness the champ and his greatness for yourself, check out the final battle video below. You can also head to Rap Is Now’s official Youtube page to see some of your other favorite freestyle rappers shred each other to bits over the mic. Just like any competition though, the Rap Is Now team values sportsmanship behavior; whatever is rapped over the speakers are left on stage and never taken off it. Competitors clearly understand this spirit of the law with so much love and respect being shown both before, between, and after each competitors’ bars. Do not take our word for it because you will definitely want to see how lit things got for yourselves. With the success of the event, surely Rap Is Now is looking towards the future and further installments of “The War Is On” series. As more underground artists get recognized and thrown in the limelight, Siam2nite will be right there to capture it all before the rest becomes history. Do not be left out and join the movement. Follow Rap Is Now on their Facebook page and subscribe to their Youtube channel. And with that thought lingering in your mind, we all know rap is not dead. Rap Is Now.